Rainscreen Wall Systems - A. L. Harding & Co.
Rainscreen wall systems have attracted serious attention from architects, designers, and engineers seeking to improve moisture management and energy efficiency in building envelopes. A rainscreen wall system is a series of layered components that stand off from a building's exterior wall and weather resistant barrier. 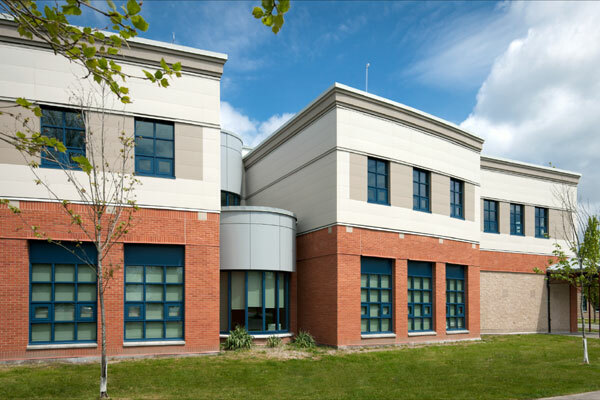 The primary component of a rainscreen wall system is a lightweight exterior cladding, (the rain screen), that is the first line of defense in protecting a building's inner wall assembly from exposure to weather. 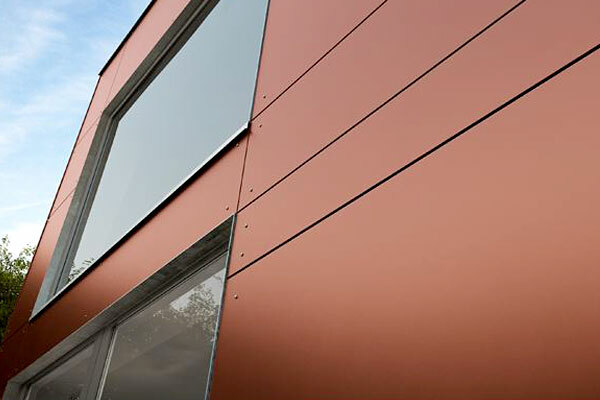 Based on the principal that the movement of water is mainly dependent on the forces of gravity and wind, rainscreen cladding limits the amount of water penetration by breaking its momentum. Any water that does get behind the cladding is only seeping at that point. Rainscreen cladding is attached utilizing a system of subframe brackets and rails creating an air cavity that allows any moisture that does get through to drain off and evaporate. An effective rainscreen system will protect a building's inner structure from weather, as well as increase it's thermal efficiency. What are the components of an effective rainscreen wall system? The first layer in a rainscreen wall system is a vapor permeable water resistive barrier which acts as a second line of defense against moisture entering a building's internal wall components. The next component is a layer of continuous insulation which increases the thermal performance of the building envelope by eliminating thermal bridging. Thermal bridging occurs when a material such as a steel stud which is a great thermal conductor, conducts heat from the inside to the outside in the winter, and the opposite in the summer. A wall partition can lose 50% of it's R-Value through thermal bridging. Thermally insulated fiberglass reinforced plastic, (FRP), universal cladding attachment systems are available to further reduce thermal bridging and prevent condensation in the wall cavity. The final layer is the rainscreen cladding and mounting hardware which is the building envelope's primary defense against the elements. Rainscreen cladding panels are fabricated from a wide variety of materials and coatings, including fiber cement, phenolic, and wood veneer. Rainscreen cladding panels are engineered to prevent moisture from rain and snow from getting to the insulation and vapor barrier. The cladding minimizes the amount of water that gets past it by disrupting its momentum. Rainscreen cladding panel systems are designed to be ventilated at the top and bottom of the wall assembly with an air gap between the cladding and the insulation. This equalizes the air pressure and prevents water from being sucked into the cladding, as well as allowing enough air space for any moisture that does seep through to run off and evaporate. How do I choose the best rainscreen components for my project? With many products and manufacturer's to choose from, the most important thing to consider is who will you be working with? The role of manufacturer's representative is crucial in being the liaison between the customer and manufacturer. Are they knowledgeable, responsive, and dedicated to your project? A.L. Harding & Co., LLC represents an array of rainscreen component manufacturers that are leaders in their industry. This allows us to offer a wide variety of product options to architects and designers giving them the versality to add rainscreen wall systems to their buildings that are both aestically pleasing and functional. 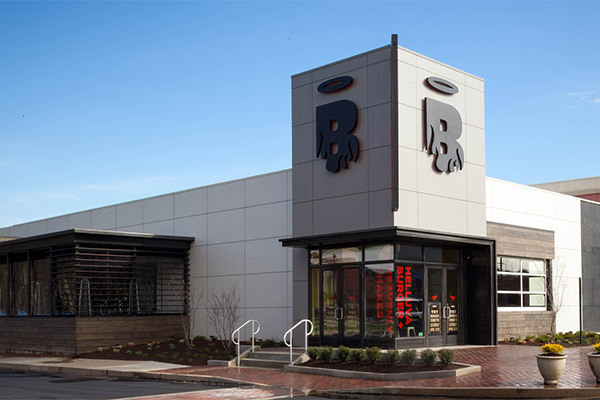 To get started on a project or learn more about rainscreen wall systems, give us a call at 724-745-3001, or CLICK HERE to send us a message.